These 10 Massive Objects Suddenly and Mysteriously Appeared Overnight and Baffled Humans! Some of these objects still have no explanation as to where they came from—to this day! We’ve seen a small plant appear overnight in our front yard, or a stray cat suddenly showing up in homes overnight. But we barely see extremely large objects appear overnight, that more often than not, baffle locals and people around the world. From large webs that cover large areas, to crop and sand circles—these large objects suddenly appeared one day without explanation. But as time passed by, some of these ‘objects’ are revealed to be man-made, and was just a way of expressing themselves through art. But if you take a look at the following list, you’d realize that there are things that are still unexplainable to this day. One man even took years to create a beautiful, breathtaking art form through planting hundreds of trees through the years! Can you believe it? 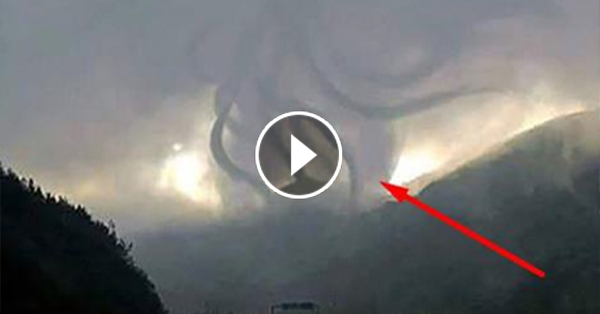 Watch the following video below and be amazed what some humans (and non-humans) can do!